Currie Technologies and Bike N’ Hike will supply thirty two IZIP E3 Compact eBikes to Drive Oregon. Drive Oregon landed the funding for the partnership with Kaiser and the Oregon Transportation Research and Education Consortium at Portland State University. Drive Oregon will acquire, deploy and study how one hundred and eighty Kaiser employees use the IZIP electric assist bicycles at three designated work sites. The idea is to ascertain whether such transportation options will encourage more people to use the bikes, which are both pedaled and propelled by electric motors when needed, when commuting to public transportation sites. Drive Oregon plans to use the results to “create a replicable model for deployment” for other companies. Currie Technologies Vice President of Sales and Marketing, Rob Kaplan said “We are pleased to be able to partner with Bike N’ Hike and Drive Oregon on this project. Electric assist bikes provide a cost effective, environmental, and fun way to move people in urban and Metro areas, and Currie Technologies is committed to growing the use of eBikes as transportation alternatives. By working in combination with our local dealer, Bike N’ Hike, we are confident that this project will create a great alternative to automobile use, cut down on carbon emissions and parking congestion, and get more people outdoors and riding bikes, which is a good thing for any community”. Here is a link to the full review of the IZIP E3 Compact electric bike. Currie Technologies, an Accell Group company, is renowned for their large selection of stylish, premium quality and technologically advanced electric bicycles marketed under the IZIP and eFlow brand names. The company is also the exclusive distributor of Germany’s Haibike electric bikes. 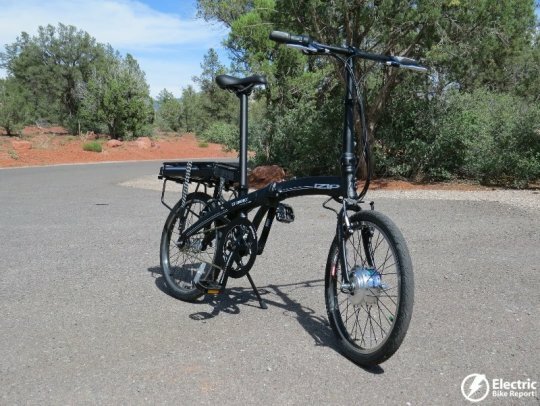 Since 1997, Currie has been one of the oldest and most established U.S. developers and distributors of E-Bikes with a network of dealers nationwide, offering a selection of models to meet every riders need for cost-effective transportation alternatives, recreation, exercise and just plain fun. Currie Technologies of Southern California holds various patents on its products including their Electro-Drive™ Propulsion Systems, unique electric drive systems that provide superior performance and durability at a reasonable price. Bike N’ Hike, a locally owned and operated professional independent bicycle retailer which was founded by Al French in 1971. The first store was located in Corvallis, Oregon and remains today along with stores in Albany, Beaverton, Milwaukie, Hillsboro and Portland. Bike N’ Hike prides itself by offering a warm welcome and an outstanding customer experience. Drive Oregon is a nonprofit public-private partnership with diverse membership from across the range of companies and organizations involved in electrifying the transportation system. Drive Oregon is funded in part with Oregon State Lottery Funds administered by Business Oregon. Drive Oregon’s mission is to promote, support, and grow the electric vehicle industry in Oregon. 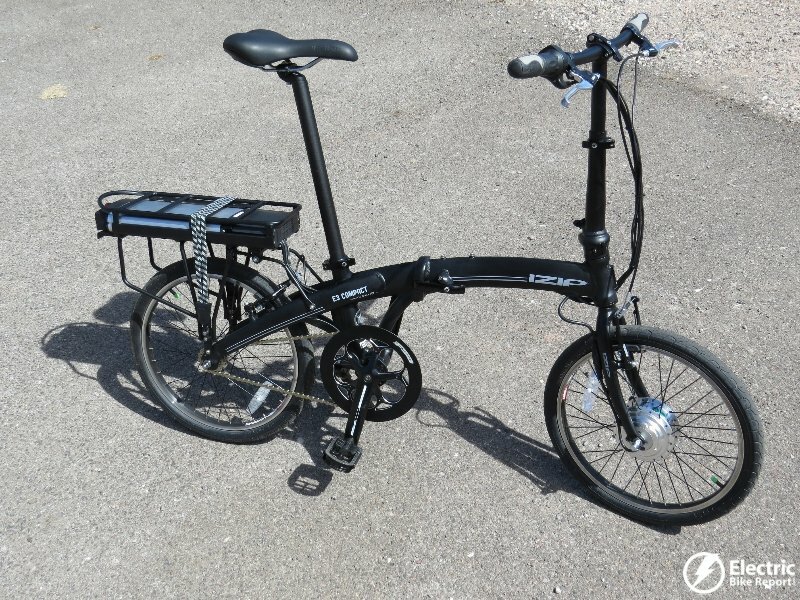 I like the idea of a folding bike design combining Dahon and Currie, but battery weight at the rear with electric motor on the front, makes for a clunky design. 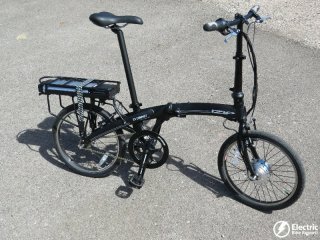 An elegant winning version would be a Bosch e-bike drive combined with a folding TERN folder. When this arrives on the market, I for one will be lined up to place my hard earned dollars on the table for this most excellent design, Battery & motor at the crank for maximum weight distribution, best use of available power direct from the pedal cranks. Combined with a Burley Travoy Trailer for urban use. Main problem with all $$ Quality e-bike’s in my book is: do you really want to lock them on a public bicycle rack and leave them unattended for any length of time. A Quality electric folder goes where you go, safe and sound from theft or Vandalism, like having motor controller snapped off your handle bars by some idiot for a $150 dollar laugh.